Acetogenins are cell-membrane permeable, naturally occurring secondary metabolites of plants such as Annonaceae, Lauraceae and other related phylogenic families. They belong to the chemical derivatives of polyketides, which are synthesized from fatty acid precursors. Although acetogenins have displayed diverse biological activities, the anti-proliferative effect on human cancer cells has been widely reported. Acetogenins are inhibitors of complex I in the electron transport chain therefore they interrupt ATP synthesis in mitochondria. We tested a new acetogenins-enriched extract from the seed of Persea americana in order to investigate if any toxicity was induced on cardiac tissue and determine the involved mechanism. In isolated perfused heart we found that contractility was completely inhibited at an accumulative dose of 77 μg/ml. 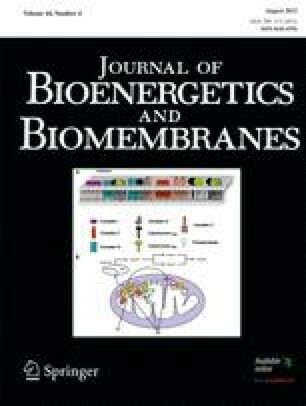 In isolated cardiomyocytes, the acetogenins-enriched extract induced apoptosis through the activation of the intrinsic pathway at 43 μg/ml. In isolated mitochondria, it inhibited complex I activity on NADH-linked respiration, as would be expected, but also induced permeability transition on succinate-linked respiration. Cyclosporine A, a known blocker of permeability transition, significantly prevented the permeability transition triggered by the acetogenins-enriched extract. In addition, our acetogenins-enriched extract inhibited ADP/ATP exchange, suggesting that an important element in phosphate or adenylate transport was affected. In this manner we suggest that acetogenins-enriched extract from Persea americana could directly modulate permeability transition, an entity not yet associated with the acetogenins’ direct effects, resulting in cardiotoxicity.